Product #21168 | SKU 040113 | 0.0 (no ratings yet) Thanks for your rating! The Rycote Mono Extended Ballgag Suspension MZL is specifically designed for use with the Schoeps CCM range of microphones. 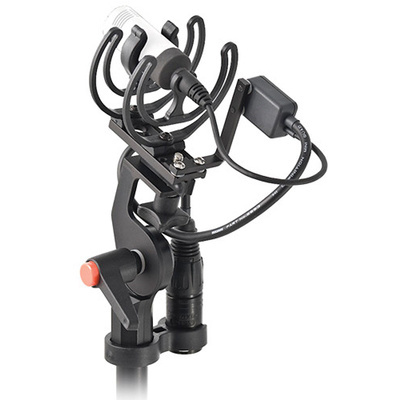 Both microphones are suspended to the four-point hoop frame using the mic clips and four silicone bands. Even though the mono suspension is capable of M/S miking techniques, it is sometimes suggested to use the stereo extended version, which offers a greater diameter and increased air space while using a windshield. The optional Connbox will further reduce handling noise if necessary. Connboxes shorten cable lengths and further isolate the cable from the microphone element, contributing to an overall trouble-free recording.